Today was a huge morning for Disney/Pixar, as the studio received six Academy Award nominations for the two films that they released this year. Toy Story 3 and Day & Night, which were released together back in June 2010, continue to be critical darlings. Hot off winning Best Animated Film at the Golden Globes just one week ago, Toy Story 3 was nominated for five Academy Awards. Meanwhile, the mind-bending short, Day & Night, received a nomination for Best Animated Short Film. Read on for a complete list of nominated categories. Toy Story 3 has been considered a lock for a nomination in the Animated Film category from the moment the film graced movie screens across the world. Beloved by critics and audiences alike, the film was a success story at the box office, grossing over one billion dollars worldwide, on the way to becoming the highest grossing film of 2010. Not bad for a sequel in a franchise that started 15 years ago. The film’s nomination for Best Adapted Screenplay continued the Academy’s recognition of the Pixar writing process. Michael Arndt, John Lasseter, Andrew Stanton, and Lee Unkrich collaborated to form a fantastic script. ‘Witty, intelligent, and emotional’ are not commonly used together to describe one screenplay, but Toy Story 3 was that rare third film that did not fall into many of the pre-conceived notions usually reserved for sequels (let alone second sequels). Glancing at the nominated screenplays, the animated film has, by far, the most collaborators listed. Teamwork, an important concept to Pixar, has continued to lead to a wealth of great writing. 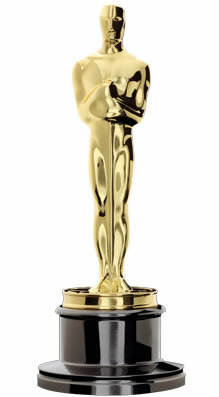 The biggest nomination of the morning for Pixar was, without a doubt for Best Picture. The studio has snatched up a nomination for the biggest award on Oscar night for two straight years, a feat that has to be given some context to be truly understood. Before Beauty and the Beast (released in 1991), no animated film had ever been nominated for Best Pitcure. We would have to wait over another decade to see the second animated film to receive a nomination in the category, Pixar’s Up. Now, one year later, the nomination for Toy Story 3 is just further confirmation of the studio’s dominance. Before Toy Story 3 was released in June, the year in film had been considered extremely poor. The animated film gave the year a sign of hope – hope that we would not have to face a dismal year of cinema. The ending of the film similarly gave audiences hope for a future that was uncertain, but one that would also inevitably be filled with many adventures. The nominations for Best Original Song and Best Achievement in Sound Editing demonstrate that Pixar is adept in creating an environment for the great story to flourish in. Given all of the times we hear how important story is to the studio, one would think other parts of the film would not be provided full attention. However, the studio’s films have never failed to delight in the technical department. Additionally, in the Toy Story films, Randy Newman has created an instantly recognizable soundtrack, and “We Belong Together” was a beautiful way to cap the emotional journey that audiences endured. Finally, Teddy Newton’s Day & Night was nominated for Best Animated Short Film. The inventive short is easily one of the most original and creative concepts to come out of the animation studio. A difficult film to explain in words, the short surprised audiences with a clever idea – characters representing day and night were inherent opposites, but grew to accept and care for one another regardless. Congratulations to Lee Unkrich, Darla K. Anderson, Teddy Newton, and the teams at Pixar that worked together to create two amazing films. The Academy Award nominations are not really confirmation of the films’ quality. They are confirmation of the respect that Disney/Pixar has helped bring to the world of animation, as animated films can be great films. When an animated film is great, it is just that – a great film. The Academy Awards are set to air on ABC on February 27, 2011.